The Best Pasta Sauce in the World. Seriously. I really don’t think that I’m understating things here. In fact, I can’t believe that I haven’t written about this recipe before. It’s the one I always share when I get a recipe exchange e-mail, or need to whip up something to drop off to a sick friend. (It’s a better cure than chicken soup – honestly!) I was reminded of it tonight when I arrived home tired and famished from the launch of the Absolut Fringe Festival*, and realized that I had never written about it. This recipe is from a brilliant cookbook that I reference all of the time – Keeping It Simple by Gary Rhodes. This lovely cookbook is chock full of great recipes, but is also a great reference for things like cooking times, ideas for what to do with a veg box, and how to do the classics. It also houses my go-to roast chicken and rib of beef recipes…couldn’t do Sunday lunch without it! 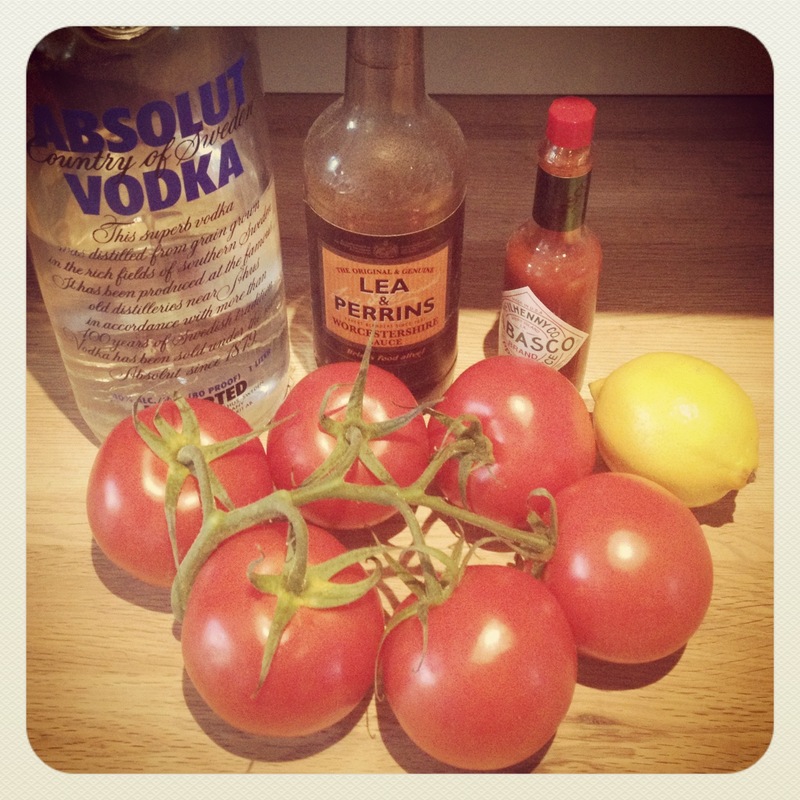 The recipes that I want to share today though, is a weekday staple in my house…ladies & gentlemen, I bring you…Bloody Mary Sauce. It pretty much does what it says on the tin…it’s a rich, but zingy tomato sauce with a little kick, and it’s delicious over any kind of pasta (I prefer spaghetti myself, but really, anything will do…) Perfect if you have a cold or a hangover, or if you want a quick, substantial meal that’s full of flavor. In short, AMAZING. With these ingredients, how can you go wrong? Melt the butter in a saucepan and gently fry the onion until soft. With the point of a knife, remove the eyes from the tomatoes. Place in a bowl and cover with boiling water for 10-15 seconds before placing under cold running water/ Peel away the skin, then quarter the tomatoes, de-seed and cut the flesh into cubes. Add the passata & tomato cubes to the onions, simmer for five minutes. Add the lemon juice, Worcester sauce, and the Tabasco. Season with celery salt & a twist of pepper, finish with a splash of vodka. *Click here or here to learn more about my involvement with the festival! **Not in the original directions…I may have editorialized a bit. Sorry Gary.